When I was a little girl growing up in Sevier County, I would drive by this home on Waldens Creek Road and admire this beautiful home on the hilltop. I loved it so much. I am blessed as a Realtor to be able to market the home I have always admired and thought was the prettiest property in Sevier County. 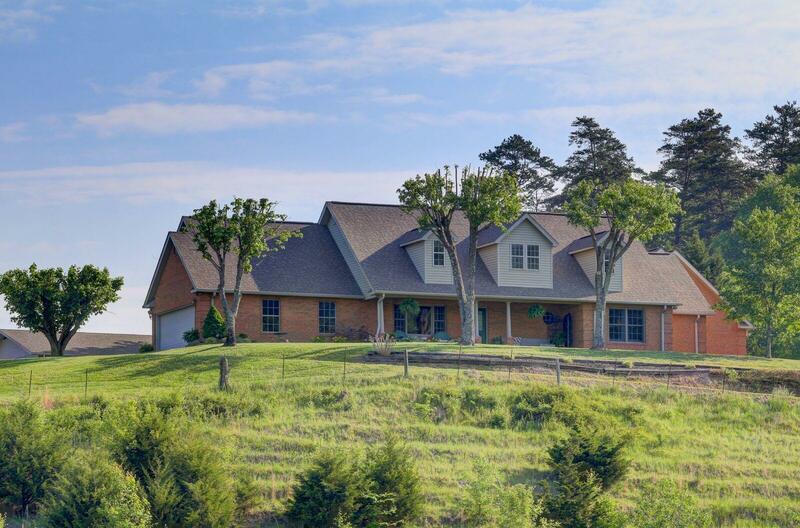 This magnificent, custom-designed showplace comes with 2.3 ACRES of just absolutely beautiful country side AND breath taking views of the Great Smoky Mountains. A rare find in Sevier County so close to town. You can see those gorgeous Smoky Mountains for miles. And the sunsets...words do not do it justice! It is inspiring- you will have to see for yourself. I know I was in awe. The owner of this gorgeous home thought of everything.